April 2019: Collaborative journalism on the raise! Encouraging overview article about collaborative journalism in Germany and in Europe. In the magazine of the journalism association DJV in my home province of North-Rhine-Westphalia. April 2019: Meeting scores of good colleagues all ready to talk about journalism at the International Journalism Festival in Perugia. Freezing cold weather but the town as charming as ever. I talked about surmounting bias by practicing crossborder journalism, and I talked about the need to experiment in order to develop new digital tools supporting journalism in our era. #ijf19 @Hackette7 says in international investigative journalism, she collaborated cross borders simply to get access to docs/info – but they realised as cross border collaborators, they shed light on each other’s biases…..
March 2019, the 18th: Routledge just told me: My English language book about crossborder collaborative journalism has been sent to the print shop! March 2019: Speaking at seminar about Media Literacy in Europe praising the emerging interactive journalism – where journalists interact with citizens – as an excellent opportunity to get to know media. March 2019: Trying to speak about crossborder, interactive and other new ways of doing journalism at seminar of Danish Parliament. Starting question was difficult though: Why are there not more news about the EU in Danish media? I think there are, plenty, but we do not mark them as such – and thus we do not follow up to the levels, where decisions are made. February 2019: Highly interesting seminar on public discourse in our times by the Augstein Foundation in Germany in the Hamburg Spiegel building. I moderated a workshop with Márton Gergely form Hungary. Unsettling experiences, he reported. January 2019: We founded Arena for Journalism in Europe, a non-profit under Dutch law to support crossborder, collaborative journalism in Europe. 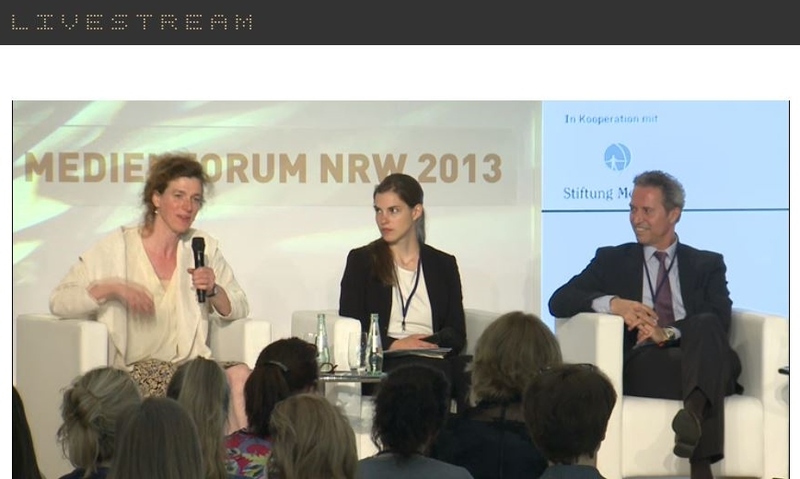 We want to rethink the European infrastructure for journalism in a networked society. January 2019: Do algorithms make decisions affecting your life? Or that of your children? We’ve been mapping the use of automated decision making in Europe. On January 29th and 30th it was presented in the European Parliament, at the Privacy Camp 2019 and at a breakfast meeting at the CPDP. This report is the result of a crossborder effort. Over the autumn of 2018 for Algorithmwatch.org I had the pleasure of coordinating a group of insightful colleagues from journalism, academia and civil society to compile the report Automating Society – Taking Stock of Automated Decision-Making in the EU. 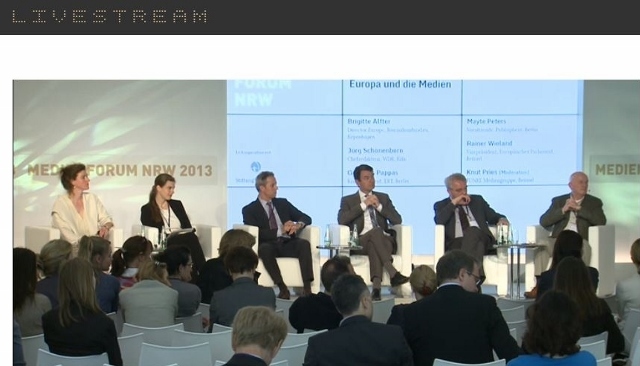 I was invited to speak at the annual media fair Medienforum in Köln in Germany on June 7th 2013 – on the future of EU journalism: Wege aus der Öffentlichkeitskrise: Europa und die Medien. The moderator noted that there was no question mark at the end of the headline of the debate – so we had to offer solutions! Suggested crossborder reporting as carried out by ICIJ in the Offshore Leaks stories and as supported by Journalismfund.eu and others and presented at places like the Dataharvest Conference or the Global Investigative Journalism Conference. Crossborder reporting? Nobody knew. Steueroasen? Of course! In other words, our method is gaining ground. And yes, I do believe that quality journalism is a way out of the crisis. The EU appears to be growing up, now journalism about it has to grow up too. And is well on the way, if I look at all the important stories carried out by Journalismfund.eu grantees. Other speakers on the panel were Georgios Pappas, a Greek correspondent in Berlin, Mayte Peters, chairperson at Publixphere, Jörg Schönenborn, editor-in-chief, WDR, Cologn, Rainer Wieland, vice-president European Parliament, moderated by Knut Pries, Brussels correspondent at Funke Media Group. The 2013 Dataharvest Conference for investigative and datajournalism in Europe this year had 156 journalists and programmers from all over Europe participating. Catch up with who was there on the 2013 programme. If you missed it, read the wrap up and find presentations here. If you want to stay in touch and keep colleagues posted about your work, join the FB Dataharvest group – that’s the meeting place for the time being. #DataHarvest14 scheduled for May 9-10 2014 in Brussels. Stay in touch via the FB group or the Journalismfund.eu mailinglist for precise date, program, etc. And thanks once again to everyone all who participated and contributed! Want to meet the director of the European Ombudsman (half of the cases there concern transparency) – and want to meet two lawyers, who are among those who win cases for more transparency at the European Court of Justice? Then come to Brussels to the Dataharvest. Of course you can also meet investigative journalisms grand old in Europe, David Leigh, investigative editor at the Guardian. He recently got an – indirect – award for his work: The OECD experts praised his and his colleagues’ work in their big report about tax evasion Adressing Base Erosion and Profit Shifting (page 13). And then there will be lots of fresh data and good coders to help you make stories out of them. For example the award winning journalist Nils Mulvad @nmulvad (European journalist of the year 2006) will help with fresh Farmsubsidy data, and Friedrich Lindenberg from the Open Knowledge Foundation/Der Spiegel @pudo. Interested in research in social media? Meet Paul Myers, researcher at the BBC and excellent speaker and trainer @researchclinik. Interested in combining a lot of new research methods? Meet Paul Bradshaw from Birmingham University @paulbradshaw. Meet Per Anders Johansen from Norway, who makes a living on wobbing for excellent stories. And many, many others! Have a look at the program (as of today – to be updated further). Much looking forward to seeing you there! I have the honour of passing on our craft to the next generation of journalists as a teacher at Roskilde University. The Department of Journalism and the Centre for News Research are part of CBIT, the Institute for Communication, Business and Information Technology. Follow our day-to-day work on Twitter @RUCjournalistik. Good news today – just to mention an example: All students of RUC have gotten a training-job, which is an integrated part of their studies. However every year there is a panic to get one of the coveted traing-jobs. Congrats! Journalismfund.eu supports teams of journalists who follow a story across borders. Journalismfund.eu now has its 6th call for application open. Traffickers from the Ukraine, slave labour from Romania, working in the Czech Republic for a Dutch company? Obvious for journalists to build a team to get the right competences and languages! Or one piece of EU law governing the conditions for citizens in all EU and EEA countries? Again an obvious method to pool research competence and time in a team and then to publish for the various target groups. Or a company acting – possibly in breach of EU law – in several European countries? This kind of ideas is supported by Journalismfund.eu. If you have an obvious idea, have a good team almost ready to start researching, if just you had this bit of extra money and time – do have a look at the latest call for applications and see, whether the rules for applications and the criteria fit your project.